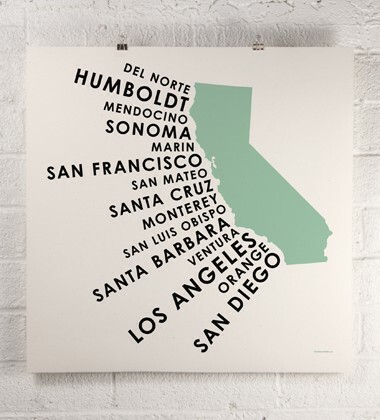 I've never been to California (well, once, I was 6 weeks old, very memorable trip for me) but I think I need to live there. I just have a weird feeling I would love it. Maybe I should get this awesome print from Orange & Park as inspiration? ...type crush Tuesday - holiday cards! ...an i simply love GIVEAWAY!! ...some new cards for the i simply love shop!